Garrott Kuzzy » Log it! Log It! 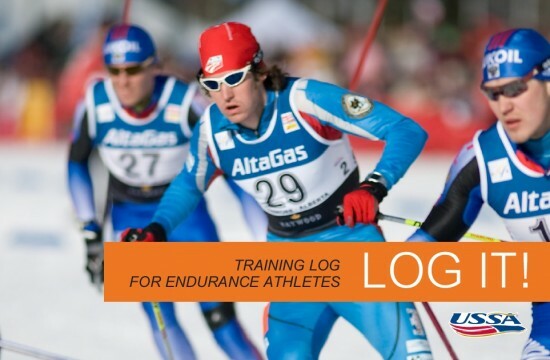 Training Log for Endurance Athletes is designed to be used for almost any endurance sport, especially cross country skiing. It will be particularly valuable when used in conjunction with the training programs on the CXC Academy. Like the CXC Academy, this log is organized around 13 four-week periods over the course of the year. Each month is blank, so the log can be started at any time during the year. The months in the log start with a photo and story from training at that time of the year to keep you inspired year-round. Log It! is written by Garrott Kuzzy and produced in conjunction with CXC. Proceeds from Log It! go to benefit Garrott and CXC. Find your copy at the CXC Store, New Moon Ski and Bike, Gear West, or Finn Sisu. Pick up your log today and start training! Now be aggressive. You are a champion. Embrace it at every opportunity that presents itself. We the people believe in you. Go get them at the Olympics!